Massachusetts had the lowest gun death rate in the country in 2015, newly released federal data shows, and advocacy groups on Tuesday attributed the state’s ranking to its tough firearm laws. There were 213 gun deaths in the state in 2015, for a rate of 3.13 per 100,000 residents, according to the US Centers for Disease Control and Prevention’s National Center for Injury Prevention and Control. The CDC calculates the gun death rate by dividing fatalities by the state’s population and multiplying that figure by 100,000. Total gun deaths include homicides, suicides, and accidental shootings. The states with the next lowest rates in 2015 were Hawaii at 3.84 deaths per 100,000, New York at 4.29, Rhode Island at 4.83, and Connecticut at 5.26. The highest firearm death rates were 23.97 per 100,000 in Alaska, 20.38 in Louisiana, 19.85 in Montana, 19.72 in Alabama, and 19.68 in Mississippi. John Rosenthal, cofounder and chairman of the Newton-based Stop Handgun Violence, said the numbers out of Massachusetts, where firearm restrictions are among the tightest nationwide, show that “gun laws work to reduce gun violence.” Rosenthal credited Massachusetts House Speaker Robert A. DeLeo with working to pass a wide-ranging gun bill in 2014 that gave police chiefs discretion to deny a permit for a rifle or shotgun to an applicant deemed unsuitable, among other provisions. That law helped reduce the firearm death rate in Massachusetts, Rosenthal said. The National Rifle Association and the Gun Owners’ Action League of Massachusetts could not be reached for comment on Tuesday night. Rosenthal’s remarks were echoed by state Attorney General Maura Healey, a Democrat who rankled gun owners and manufacturers in July when she moved to bar the sale of military-style rifles that have been altered slightly to evade the state’s ban on assault weapons. 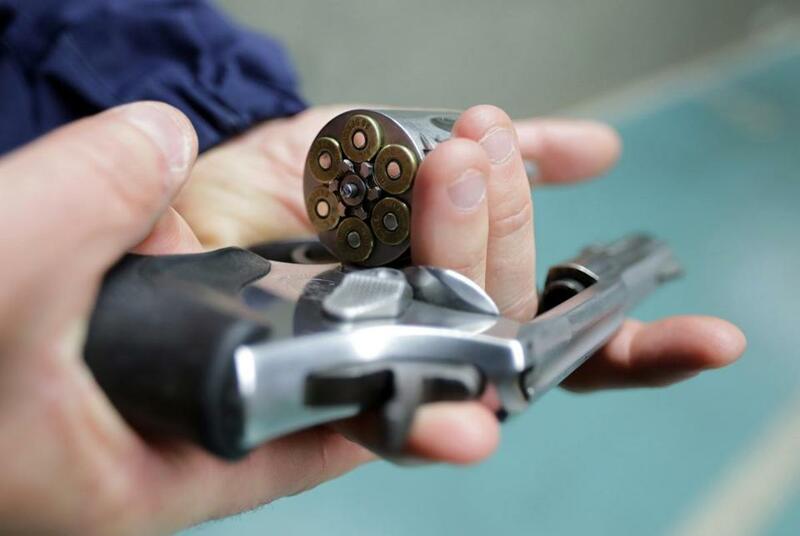 Massachusetts improved its standing from 2014, when it posted the third-lowest gun death rate of 3.2 per 100,000, higher than only Rhode Island at 2.9 and Hawaii at 2.6, according to the CDC. The Violence Policy Center, a think tank in Washington, D.C., that backs gun control measures, analyzed the 2015 CDC numbers along with data from prior years on gun ownership, finding that states with the highest death rates also had higher percentages of citizens who owned firearms. The policy center said it culled the gun ownership data from an October 2014 American Journal of Public Health article. “The evidence could not be more compelling that states with fewer guns and strong gun laws have far lower rates of gun death,” said Kristen Rand, legislative director of the Violence Policy Center, in a statement. There were 36,252 gun deaths in the United States in 2015, for a rate of 11.28 per 100,000 according to the CDC. Besides Massachusetts, the 2015 New England tallies were 121 gun deaths in New Hampshire at a rate of 9.09, 51 deaths in Rhode Island for a rate of 4.83, 70 deaths in Vermont for a rate of 11.18, 189 deaths in Connecticut for a rate of 5.26, and 144 deaths in Maine for a rate of 10.83, the CDC said. Massachusetts, despite its low rate in 2015, has seen prior spikes in firearm violence since the state passed a comprehensive package of gun measures in 1998, including barring violent felons from owning guns and denying licenses to anyone who was the subject of a permanent or temporary restraining order. In 2011, the state recorded 122 murders committed with firearms, a striking increase from 65 in 1998. Evan Allen and Brian MacQuarrie of the Globe staff contributed to this report.